PRICE DROP!! NEW STAINLESS STEEL APPLIANCES JUST INSTALLED!! 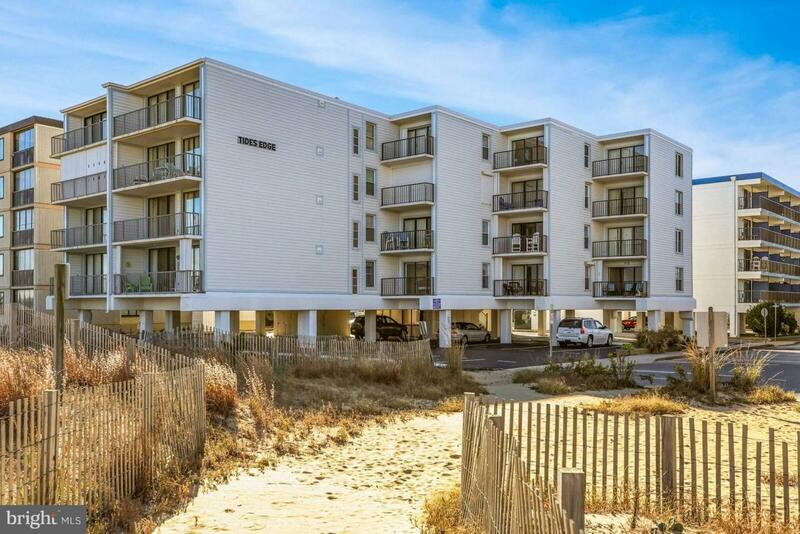 Grab this condo NOW for all your summer fun..Sit, relax & take in the Ocean Front views from this gorgeous 2bedroom/ 2bath condo. This property rented in 2018 over $30,000 in income. This condo sleeps 8, cozy & spacious with granite countertops and newer appliances. Nice dining room for crabs and great times as a family. Living room comes complete with pullout sofa and loveseat to watch TV or gaze out at the waves. Master Bedroom and Guest rooms each come with renovated bathrooms to complete this comfy ocean front condo. Stroll out to your deck & take in SUNRISES with the Dolphins. Coffee in hand with waves crashing down on the surf, this is what Ocean Front living is all about.